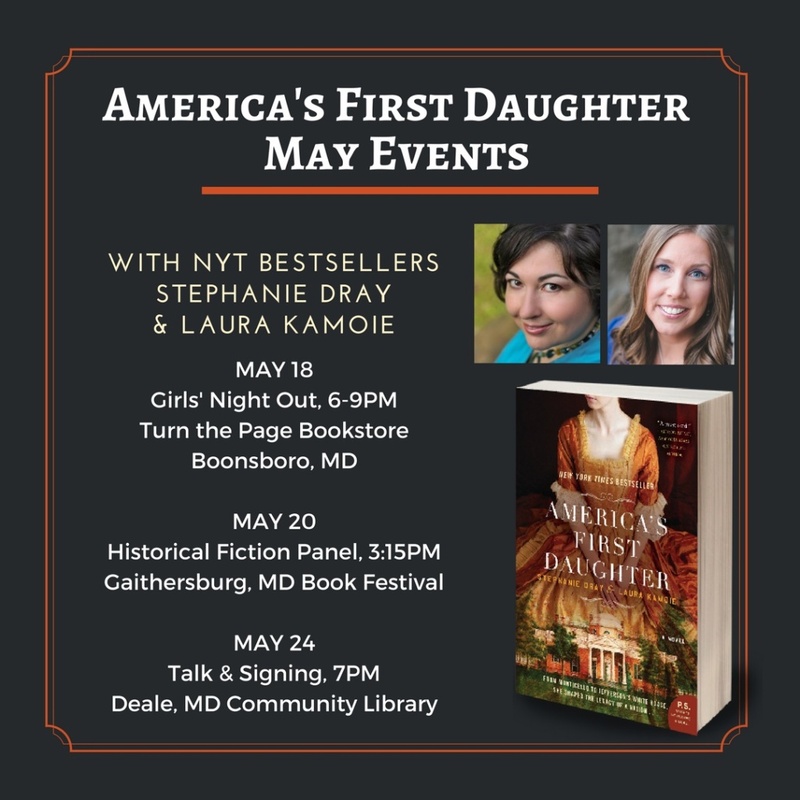 The weather’s finally turning nicer, and that means that we’re hitting the road to come out and talk about America’s First Daughter with you! We’ve got quite a few events in May and June we want to share – and of course you can always find all the details and links to more information on our events page. 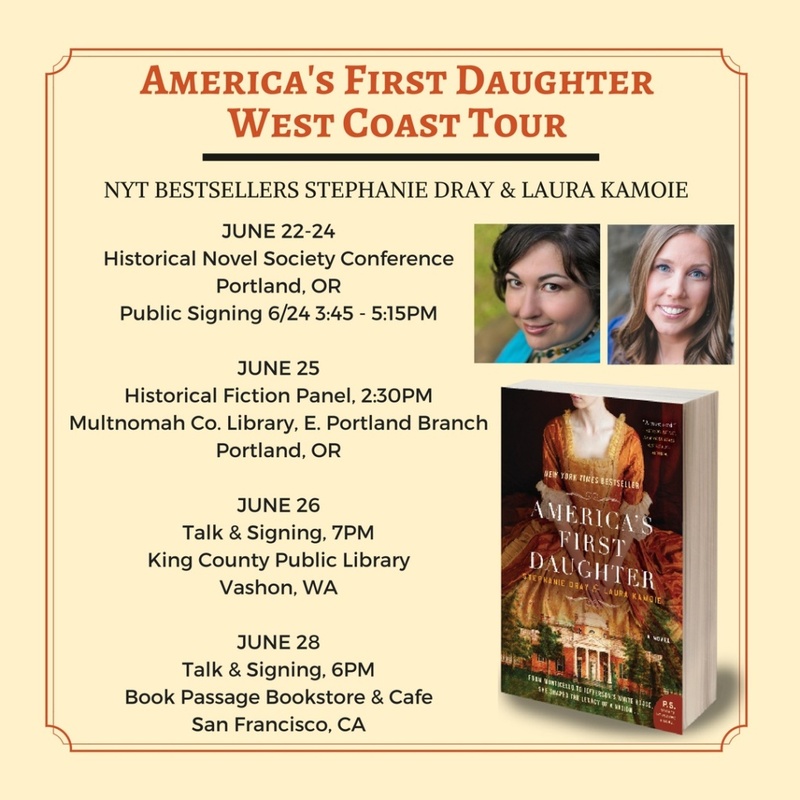 Hope to see you along the way! Thanks for reading! ← America’s First Daughter Turns One!